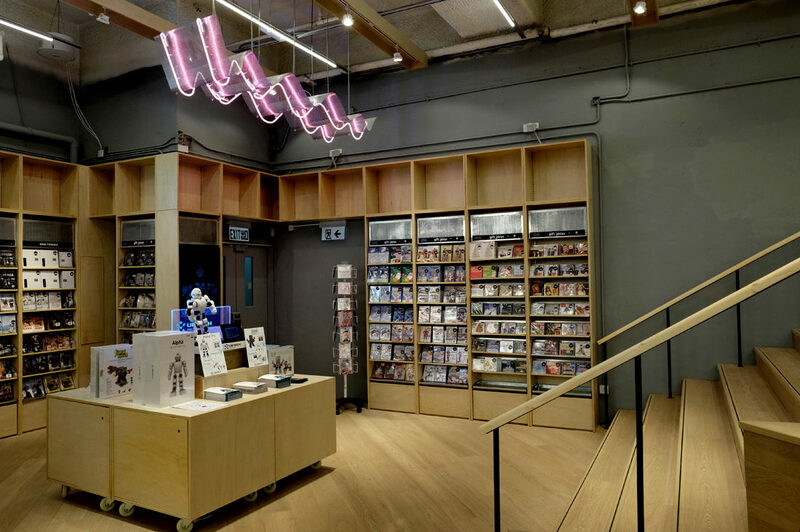 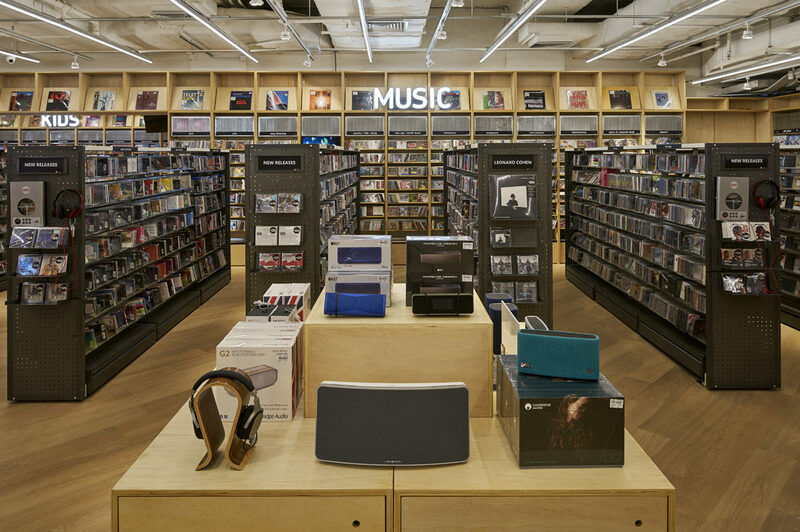 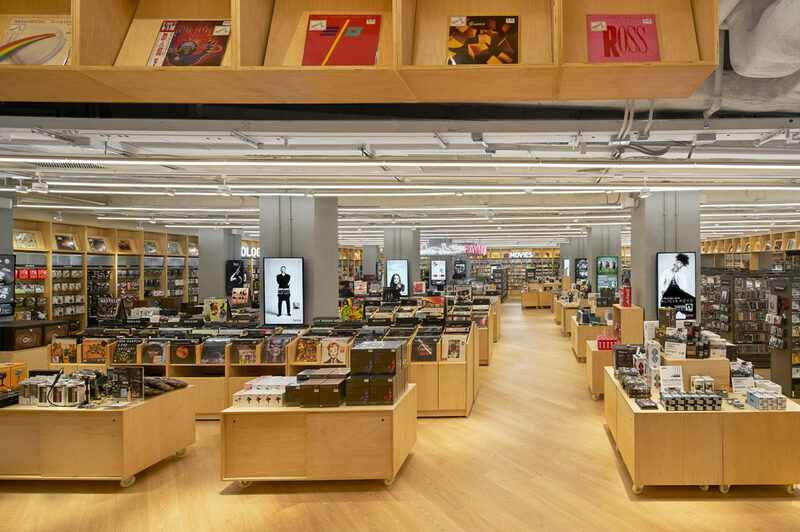 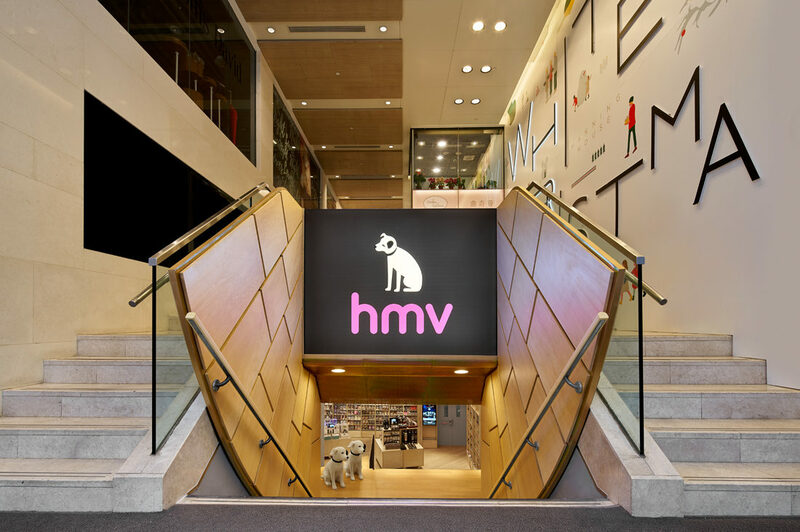 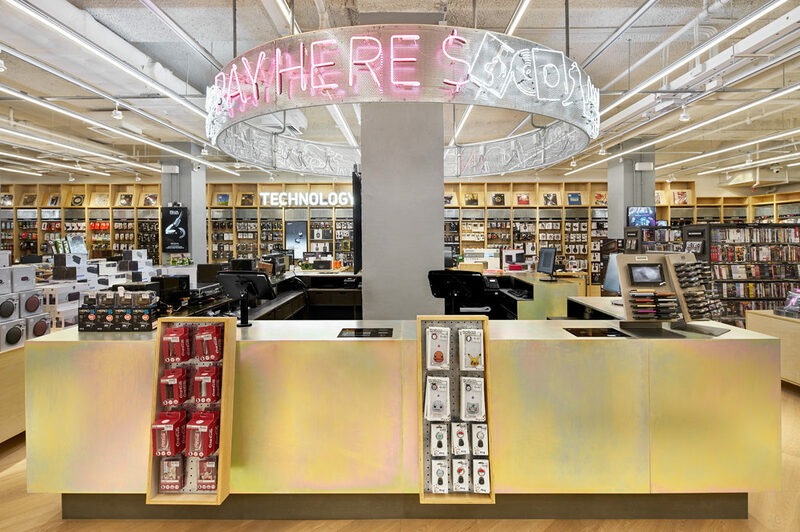 A different approach was adopted for HMV’s second store opening, choosing a color palette of blond wood and extreme repetition of a wall bay design and exposed tube-lighting to create an expansive retail space with a fresh, clean and contemporary character. 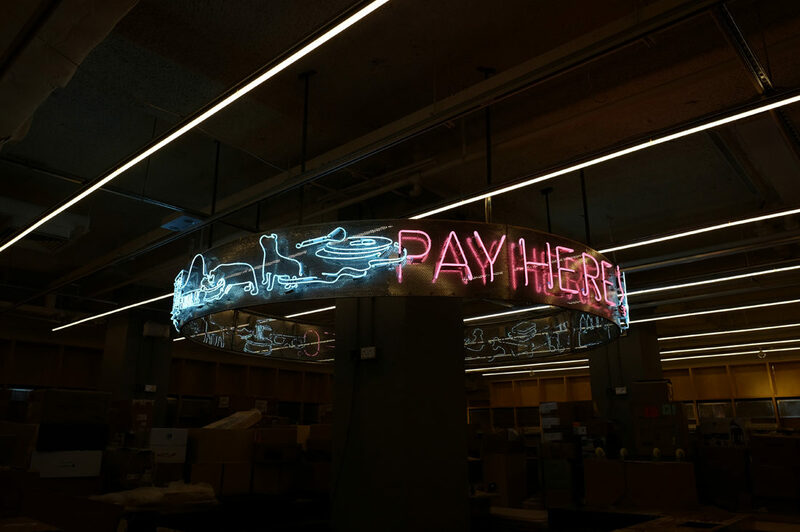 An iconic service counter with neon signage is the landmark in this shopping square. 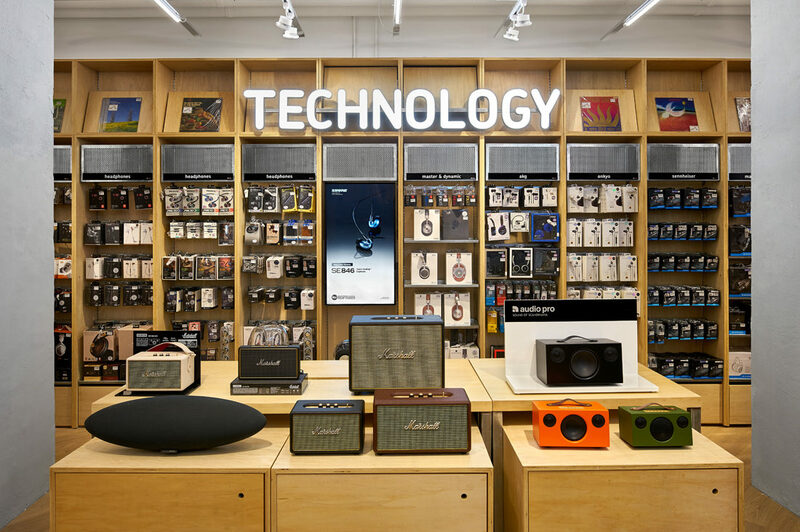 Directory signage, visual merchandising tools, and modular furniture is all designed to easily modify setups to adapt to changing needs.